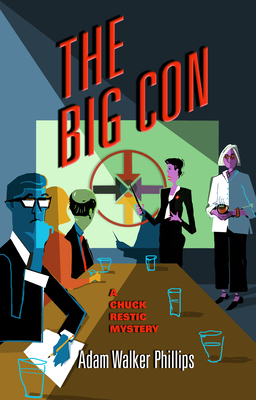 Chuck Restic, HR manager and part-time private investigator, has a problem: the consultant guru Julie St. Jean is the bane of his existence. Over his twenty-year HR career, he's been forced to partner with her on inane employee engagement programs whose only value has been to Julie's sizable bank account. When Julie is suddenly wanted for the murder of an associate, Chuck sees his chance to rid himself of her forever, until the corporate tables are turned on him and he must find the elusive figure or risk losing his job. The search uncovers a dark past of murder and stolen identity. And what begins as a search to save his corporate neck soon turns into one a lot more literal.